We parked on the eastern outskirts of Rye, where we had finished our last walk. 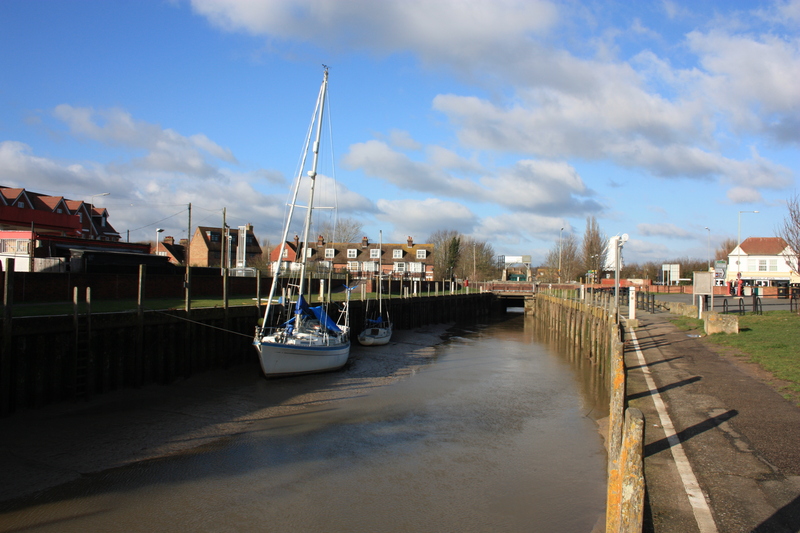 We were looking forward to walking through a town we had heard so much about, and crossed the River Rother with eager expectation. The flow of the river seemed to draw us in towards the town. The blue skies promised a bright, if chilly, day. But somewhere we took a wrong turn. Our route was supposed to lead us due west, through the town, but we found ourselves instead on a road that skirted around to the south. A tributary river, the Brede, ran off the Rother, and we were following that. The town of Rye sat on its hilltop position looking down at us. We caught fleeting glimpses of historic buildings high above us, but could find no way up to them. The terrain was almost vertical in places. We carried on west, hoping to find a path up. Gulls wheeled overhead, mocking us with their shrill screeches. They could fly up and see what there was of the town. We were stuck down on the river bank. We eventually saw a road leading up, next to some antique shops, but it was too late. We were most of the way around. Rye beckoned to us, inviting us back east, but that would now be backtracking; our path was west. We had to continue that way. We have discovered over the last few months that coastal walkers suffer a silent curse. We are transient beings, passing through one place to the next, never stopping. We spend fleeting moments at points on a map. We realise that we would like nothing more than to spend more time at these places, but we cannot. We tell ourselves we must come back here one day, knowing full well that we probably won’t. We have a path and we must stay on it, else we will never reach its end. But at Rye we hadn’t even been able to enjoy that brief moment. We had skirted around the town, shut out from its centre. We had tried to see in through impenetrable hillside, but had caught little more than passing glimpses of what was on offer, gone in the blink of an eye. We had walked through this little section of the coast without seeing or experiencing what was actually here, something that went against the very reason for undertaking this adventure in the first place. But our path was west. We had to continue. 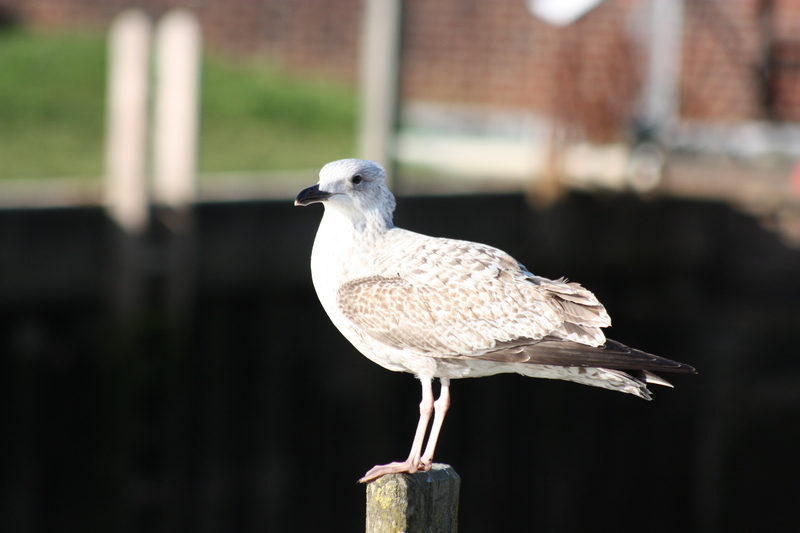 One lone gull flew down and stood on a post, looking at us with disinterest as we walked on. And that was that. We reached the western outskirts of the town, where our path took us over the River Brede and away to the south, back to the coast. True to our path, we followed it, leaving Rye behind. 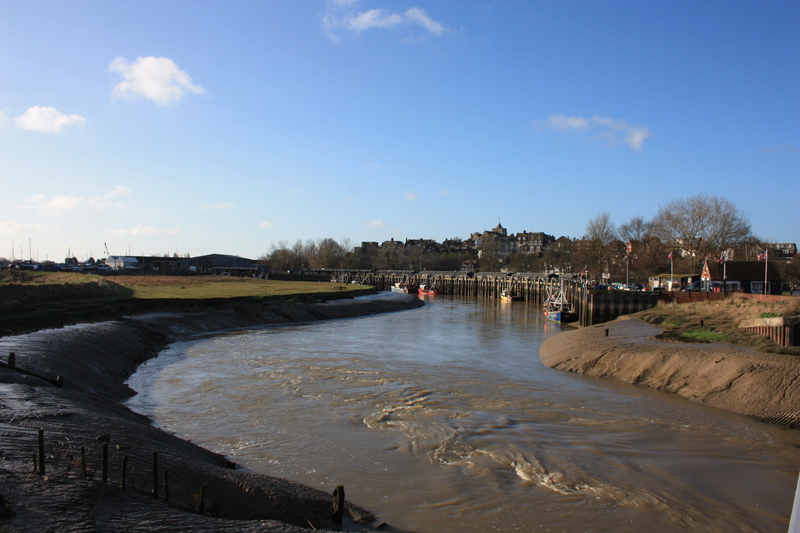 This entry was posted in East Sussex and tagged coast, gull, River Brede, River Rother, Rye, travel, walking. Bookmark the permalink.